Nighttime is restless. Even in our sleep, we are moving in our dreams, or involuntarily flopping around the bed disturbing a loved one, be it a significant other, a dog. Lullabies are written to calm these restless minds, but maybe they should also recognize the motion of the day. Nick Hakim begins with a bit of a fake-out — languorous strings like something out of a Stars Of The Lid record rumble from a sampler, somber and hesitant. 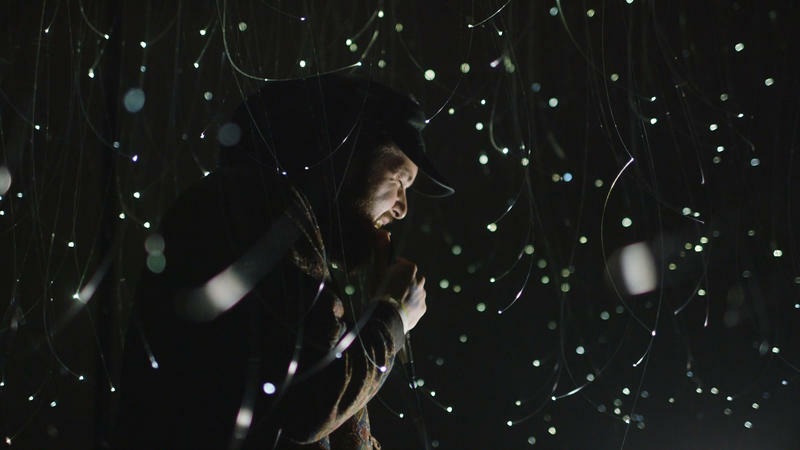 But as he begins to sing in a heartbroken falsetto, surrounded by optical fibers hanging from the ceiling of SXSW's Optic Obscura installation by Raum Industries, the ambient intro morphs into a quiet, psychedelic croon. 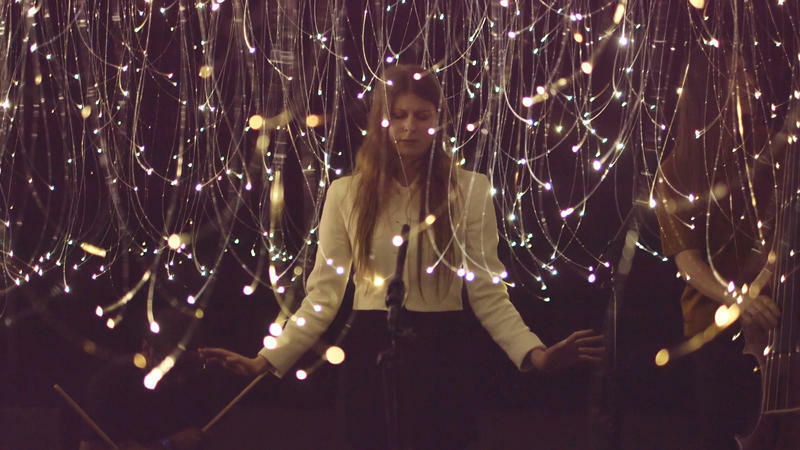 Lydia Ainsworth doesn't so much subvert pop music, but skates around its edges. You can hear that all over Darling Of The Afterglow, a surreal album that blurs melodies and rote formats with a sense of mystery. 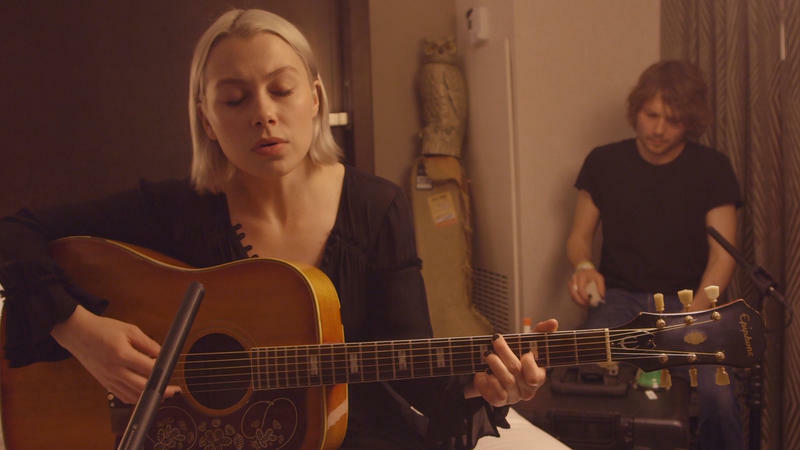 Phoebe Bridgers was one of our top discoveries going into SXSW, a quiet and powerful voice in the loud din of the festival. After she performed at Central Presbyterian Church, a favorite venue among our staff, Bridgers and percussionist Marshall Vore came to Bob Boilen's hotel room just before midnight to play the striking "Smoke Signals." 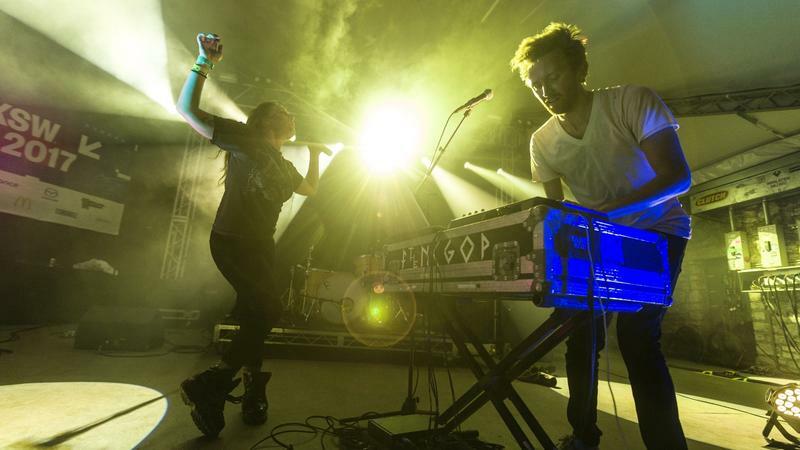 "We're gonna play a whole bunch of new songs for you," said Amelia Meath as she introduced her electro-pop duo Sylvan Esso, adding, "because we're tired of playing the old ones." 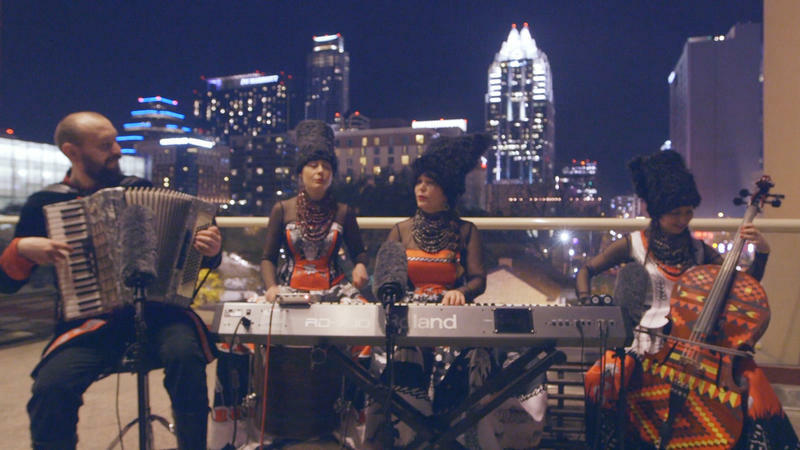 To call what DakhaBrakha does "folk music" completely misses a world of inspiration and sound, both here on Earth and perhaps elsewhere. The mostly-acoustic, utterly unique Ukrainian band mixes traditions from its homeland, but goes wide too, with West African rhythms and Indian drones to create a wild, thrilling texture (especially live). 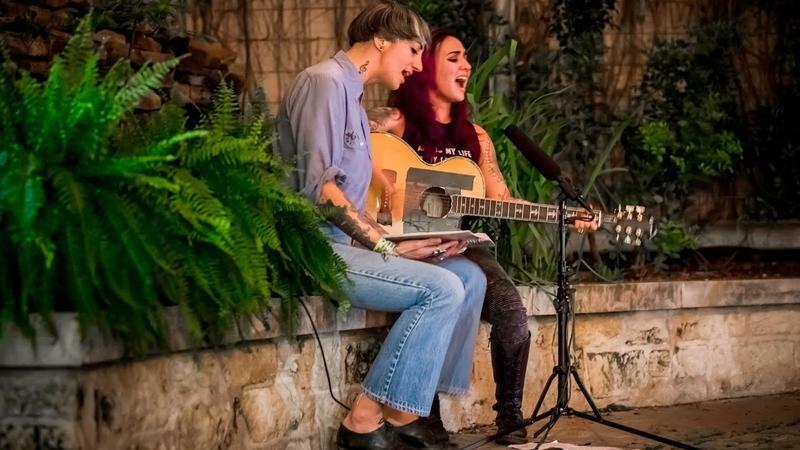 Nina Diaz and Y La Bamba's Luz Elena Mendoza have never played together, but after NPR Music paired them in the courtyard of St. David's Episcopal Church for a late evening performance, we're beginning to wonder why not. 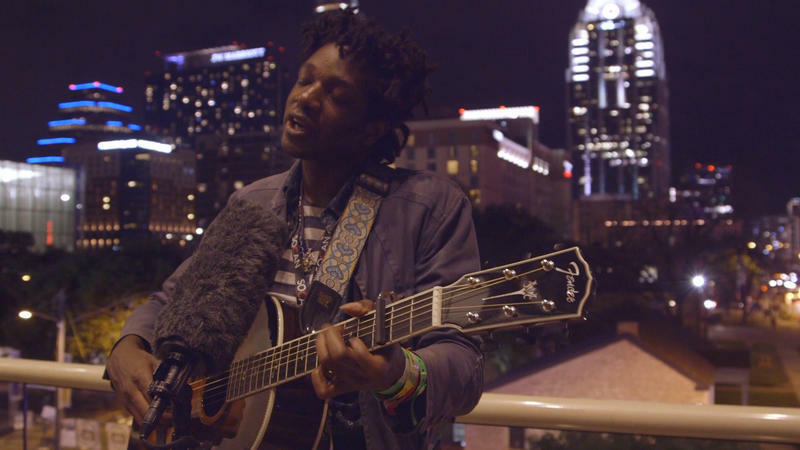 L.A. Salami sings and fingerpicks his acoustic guitar like an old truck winding through windswept blue highways. The British artist's debut album Dancing With Bad Grammar was one of Bob Boilen's top 10 albums of last year, saying it was a "hidden gem in 2016." 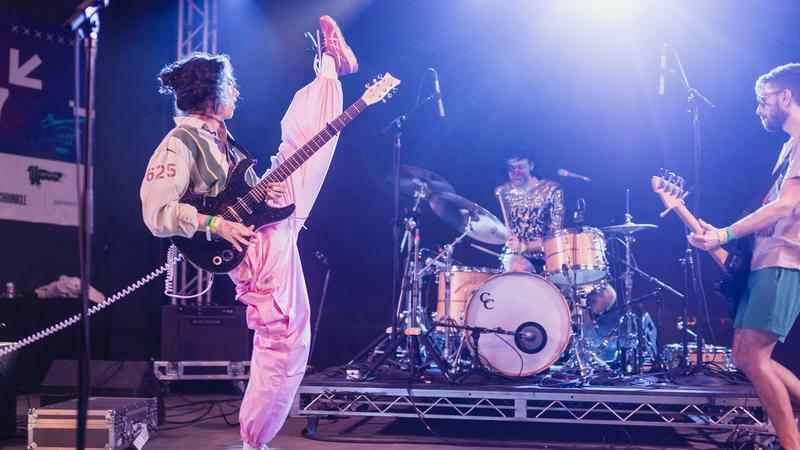 When PWR BTTM takes the stage, it doesn't take long to figure out what you're going to get. From the first glitter-smeared seconds of the set-opening "Silly," the band came to shred and swagger with infectious joy, complete with backbends and solos and spangly outfits — at least one of which wouldn't survive the band's set at Stubb's BBQ in Austin, Texas, recorded live for NPR Music Wednesday night. If you've only heard Lizzo's hit "Good As Hell" — and if you haven't, listen now, I'll wait — you might think the Twin Cities singer is a funny and ingratiating but fairly straightforward purveyor of self-affirmation and charismatic confidence. But as her joyful and explosive live show unfolded, complete with the arrival of the ecstatic backup dancers she calls "The Big Girls," it became clear that Lizzo has something more powerful going on.